Congratulations to our listeners, teachers and staff on the beginning of the new academic year! This week groups in Moscow, St. Petersburg, Kazan and Samara begin their studies. We hope that everyone had a good rest and is ready to continue their studies with renewed energy! As usual, we share our plans for the coming year. By tradition, we start with the news in education. In the academic year 2018/2019, we are opening new groups in four cities: Moscow, St. Petersburg, Yekaterinburg and Ufa. We continue to recruit students. Last year we started a new format of osteopathic training—two-year full-time training in residency. This experience was very successful and already on Tuesday, September 4th, we will get acquainted with the new group of residents. If last year there were only six doctors who entered the residency of the department of osteopathy, this year they are already 14. This means that quality osteopathic education is becoming more and more in demand. For those who already have a diploma of an osteopathic physician, we have prepared an intense postgraduate training program. As usual, it is distinguished not only by a variety of subjects, but also by a wide geography. Leading Russian and foreign lecturers will hold workshops in St. Petersburg, Kazan, Moscow, Samara, Yekaterinburg, and Perm. In the coming academic year the School of Massage under the guidance of the unique specialist Antonina Ivanova will continue its work. The next courses of professional retraining and advanced training in medical massage will start in September. There will also be a course of wellness massage. We continue our work on the development of osteopathy as a scientific discipline. Last year the Institute has set up its own scientific laboratory, which started its active work in September. One of its aims is the organization of scientific research proving the effectiveness of osteopathic treatment. Also, the laboratory will oversee our students’ thesis, which, of course, will allow to improve their quality. The results of studies conducted by graduates are then published in the Russian Osteopathic Journal, a scientific and practical edition included in the list of the Higher Attestation Committee. As usual, two issues of the journal will be published in the coming academic year. In addition to scientific articles, you can read the latest news from the life of the osteopathic community. Please, see the Journal’s website if you want to get acquainted with the content of the latest issues, to learn about the terms of subscription and submission of articles. 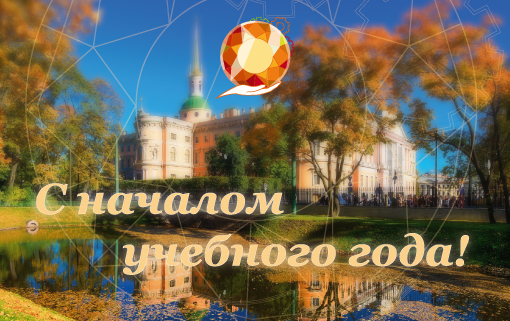 Of course, the most significant event of the year will be the International Congress Osteopathy Open 2019 in Moscow. As usual, the guests of the event will be well-known Russian scientists, renown international lecturers, representatives of professional associations and major osteopathic schools. We are already actively preparing for the congress in order to hold it at a traditionally high level! We look forward to meeting our listeners and colleagues in St. Petersburg Institute of Osteopathy! We hope that the coming year will be successful for each of us.